Borrowing from the Reggio Emilia approach, a “pedagogista” (or coach) is master teacher assigned to a group of classes. With our ongoing efforts to live the little in The Little School, we discovered that we could thrive just that much more with this role. Like the name suggests, they are there to work with the teachers, help them brain storm ideas, trouble shoot sticky patches, and be another set of eyes, ears and big brains in your building. We are hoping they will be a quick access point for teachers and parents alike. 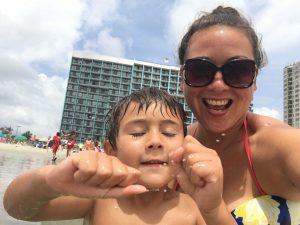 Dana moved to North Carolina from the New Jersey shore when her husband, Peter, began teaching 5th grade in Durham County. She taught preschool Head Start in NJ for three years prior to her move and loved it. 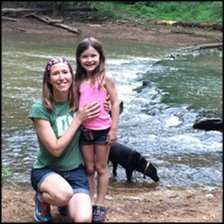 While touring schools for her daughter Andy, Dana fell in love with The Little School for its focus on child-directed learning, connection to nature as a tool for learning, and the emphasis on school as community that The Little School fosters. Her daughter began attending The Little School and soon after Dana became Lead Teacher of our Pre-K program. Family partnerships and communication are very important to her and she enjoys inviting families into the classroom and welcomes opportunities to share ideas and develop projects in partnership with families. After spending six years at The Little School, Laura took the 2015-2016 school year to pursue a Master’s degree in Education and Human Development through the teacher education program at Boulder Journey School in Boulder, Colorado. This process has been quite a whirlwind, and she is excited to share the things that she has learned with the educators and students at The Little School. Laura earned her BA in English in 2005 from Faulkner University and promptly started working with three-year-olds at a local preschool. Since then, she has learned so much about being an intentional, thoughtful teacher from the children and adults alike, and is excited to learn from and support such a community of like minded people! Laura lives in Chapel Hill with her husband, Josh, and their cats, Junie, Jilly, and Leonard. She is a big fan of quirky workplace comedies, reading the same books over and over again, strolling through the woods, and going on grocery store adventures. Heather originally hails from California, but after living in North Carolina for over 17 years, she pretty much considers herself a native. Heather worked primarily with infants and toddlers during her 10 years as a teacher. She values those years and the experience not only as a professional but as a mother. Heather joined The Little School of Hillsborough in 2012 and the experience has continuously challenged and inspired her growth both professionally and as an ever-evolving human. In her role as a mentor teacher, she had the opportunity to build relationships with every classroom, teacher, and family at the school. As the former director of The Little School of Duke, she found innovative ways to strengthen the school community, promote children’s presence in the greater community, advocate for the rights of all children to be treated with respect as capable and competent individuals, facilitate access to rigorous outdoor play, and expand the concept of nourishment to encompass the whole child. In her spare time, she spends time with her son, Cas, exploring the town of Hillsborough, and daydreams of someday building and living on a tiny home commune with pigs, pygmy goats, chickens, guinea hen and a horse, while spending her days gardening and pickling all of the things!